Brain. 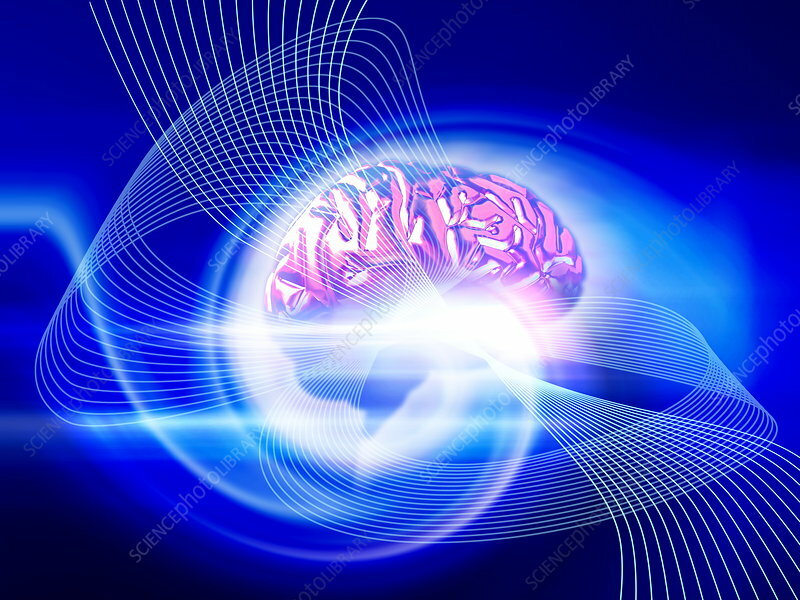 Conceptual computer artwork of a side view of a human brain emitting rays of light. The front of the brain is at right.